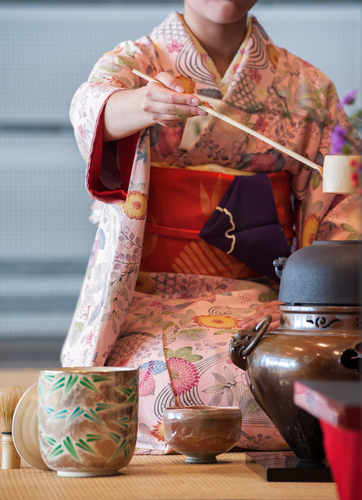 A South Australian beauty brand has taken its inspiration from the traditional Japanese tea ceremony in the design of its latest packaging. The designs of jars and bottles used for Belle’Botanique's skincare products ‘Collagene’ and ‘White Rose Radiance’ is aimed at providing a memorable experience of “harmony, respect, purity, and tranquillity”. Borrowing from the Japanese tea ceremony, the design reflects the company's interest in "modern and ancient wisdom". The process is less about drinking tea than aesthetics and values used in the ceremony. The host of the ceremony always considers the guests as the top priority, with every movement, gesture and the placement of utensils. R&D director Manoj Jain said the bottles and jars were selected to represent the rituals that prioritise both body and mind. “To create a memorable experience for our customers, we selected the jar to resemble Chawan (the tea bowl) and the bottle to resemble Chasen (the whisk used to mix tea powder), designer and co-founder Peta-Ann Jain said. Customers are encouraged to share their experiences of using the products through social media – a daily beauty ritual that provides tangible satisfaction.